Joining with Kent Weakley's Project 52 and Sweet Shot Tuesday....my now-favorite "vintage" auto. 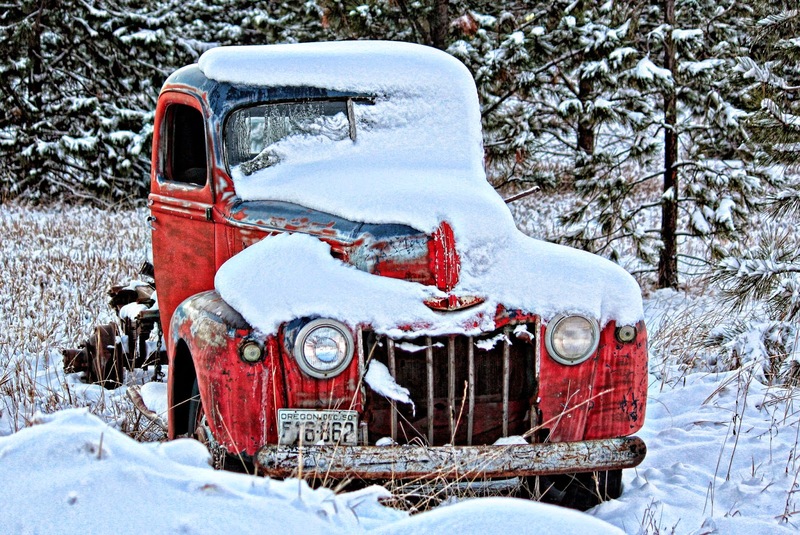 I ticked off one item on my Photo "bucket list": photograph the old red Ford in snow. The opportunity arose at the end of Thanksgiving weekend. I definitely want it in my photo book for 2014.
she looks so cold and lonely. Awesome! I love the red against the whiteness all around. How fun!